Hey there friends!! 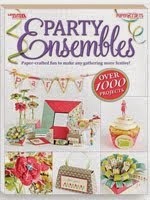 Today's the full reveal of the kits from Studio Calico. If you're a subscriber, the kits and add on's are available on the 27th in an exclusive pre-sale, which you're definitely going to want to do this month. 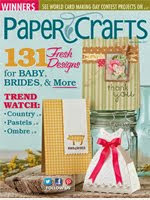 For non-subscribers kits are available to purchase now, so don't delay!! My first two cards showcase what you can do with the main kit this month. 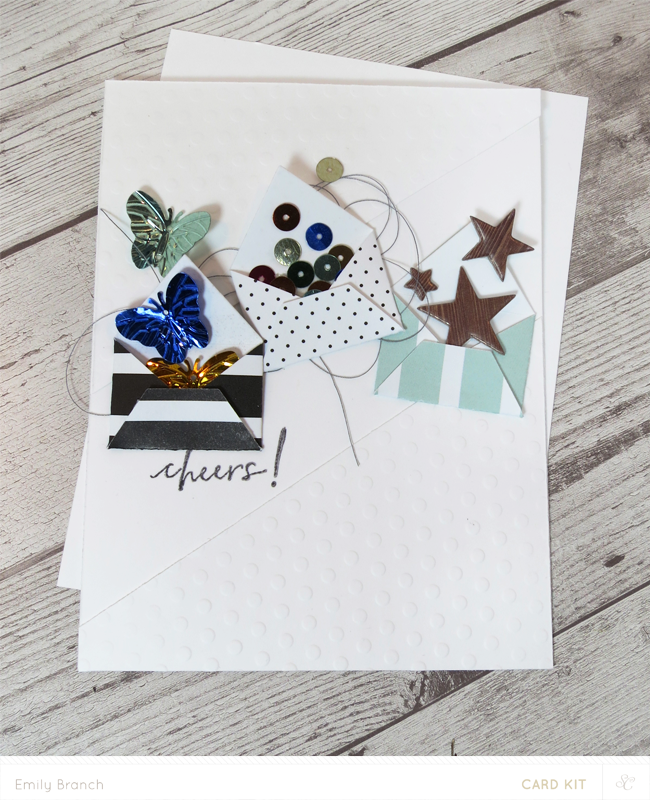 I love that the main kit isn't "holiday heavy," you can still make a variety of cards, but if you need some holiday cards, its totally possible to use the main kit--very vesatile! I was really liking the black and white floral paper this month, as well as the patterned paper included in the main kit's paper pad. 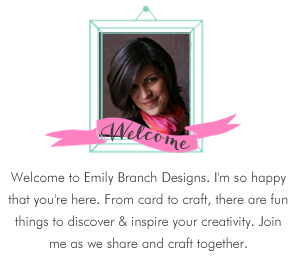 The pinks, yellows and aquas create such a fun contrast with the black and white flowers and text. The lovely kraft paper with gold glitter is back in the main kit, but it's even better this time----it's large envelopes that you could use to place cards in or trim to add as a decorative touch to card. And, that calligraphy in the sentiment---ohhh how I love calligraphy! Oh my goodness the stamp set included in the main kit is so fantabulous!! I loved it, and wanted to try something fun with it. The patterns had a retro feel to them, so I wanted to play with that design. 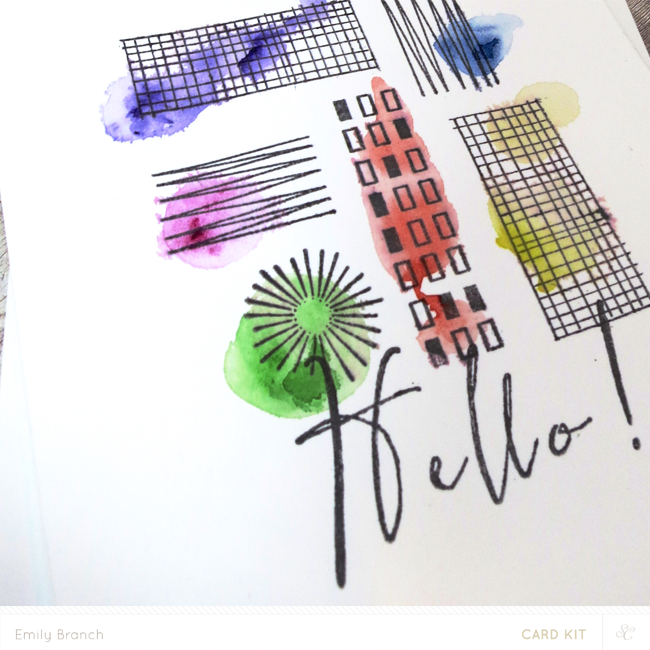 I stamped a block of patterns and used watercolors to give the patterns some pizazz. 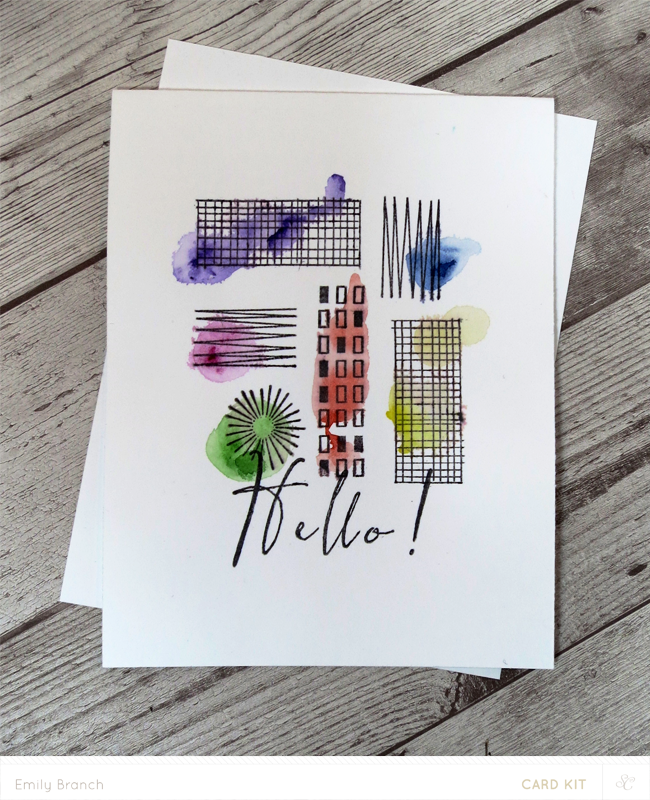 Add some drops of water, and while the water is still wet add dabs of watercolor with varying intensities of pigment on the brush and watch it "spread"--it adds a certain amount of colorful flair to the design. 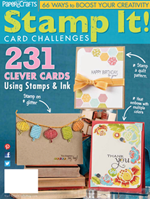 This card features an add on stamp set; Happy Something. This set has a font-focused feel to it that makes it look like the words are hand-written, making it super low key and trendy. 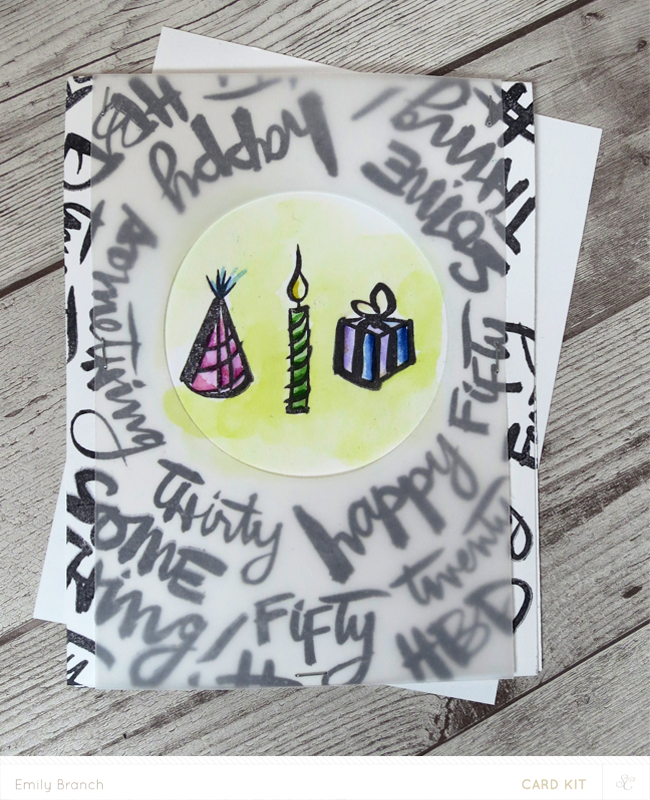 I stamped the words around in the card base in a circle to create a "frame." 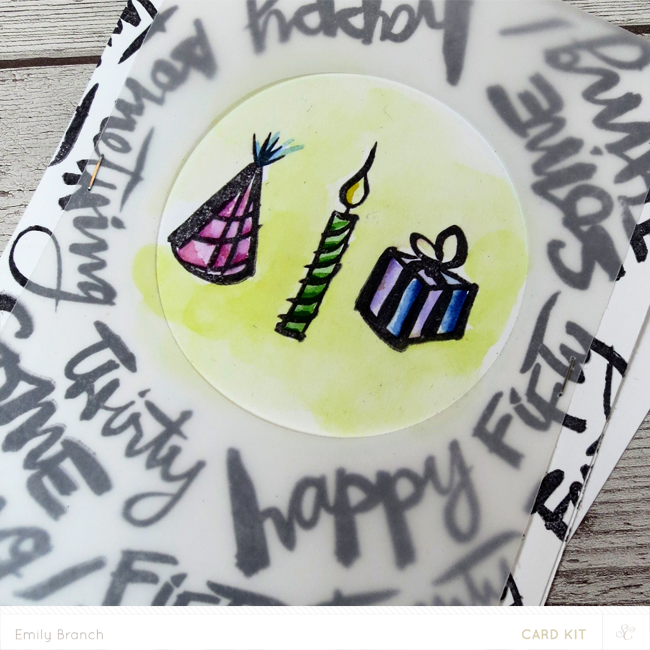 Then, I stamped a few birthday motifs, watercolored them and added a vellum panel to give a little dimension. 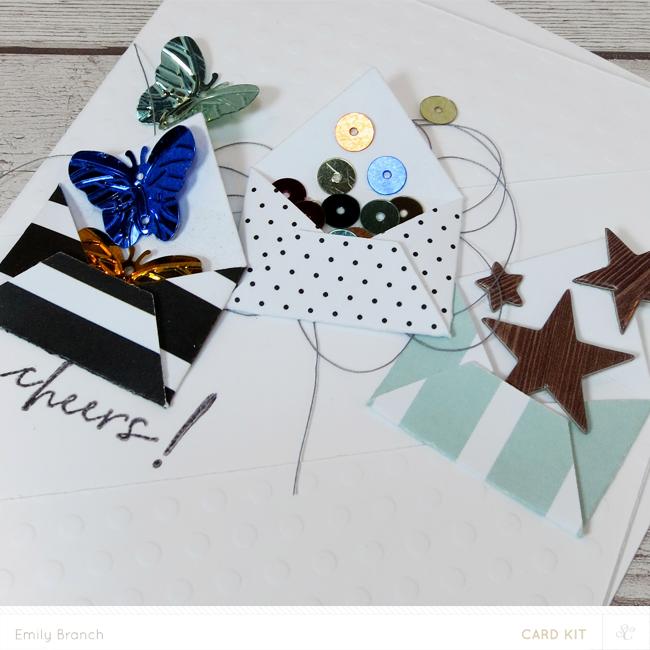 I filled the envelopes with fun little goodies like sequined butterflies and wood grain chipboard stars. 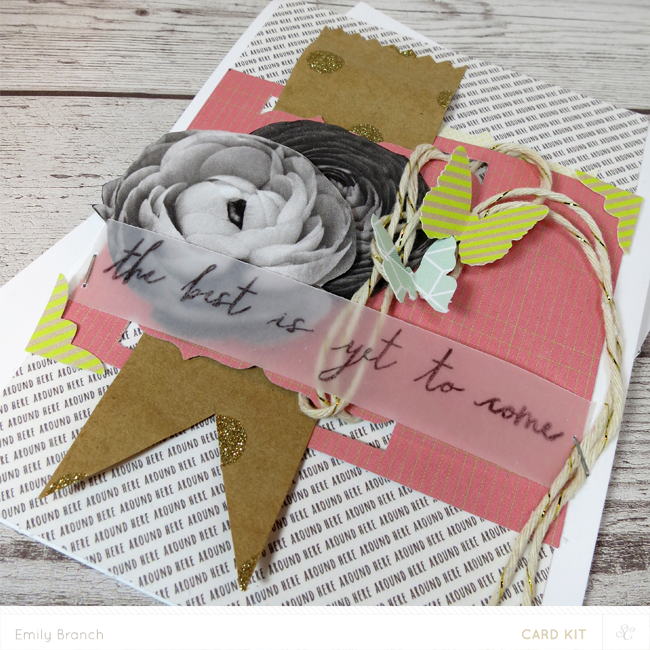 My last card features another mini add on Heart Valentine stamp set. 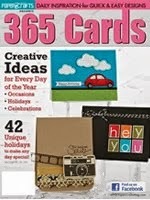 These cute little add on sets are nice on the wallet and perfect for your card-making needs! I was really attracted to the ombre dot image. 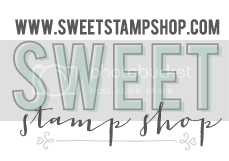 I stamped the ombre in the center and alternated the image on the sides and then layered a negative envelope die cut from paper found in the Dots and Stripes paper pad. 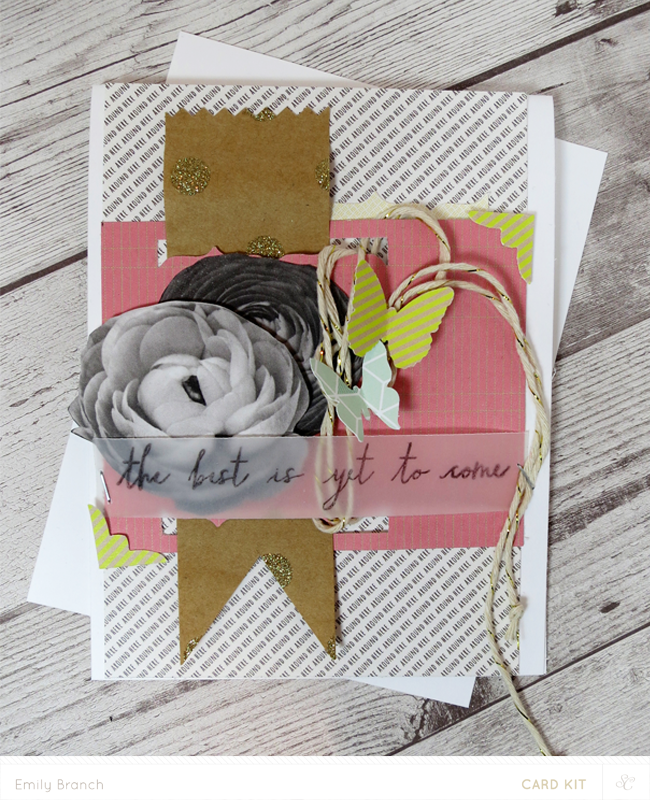 I added a bit of embossed velum, some string and a playful sentiment spelled our with stickers from the main set. Serioulsy, this kit and the add on's are going to zip on outta here this release! Make sure to get your products soon, something tells me they won't last long!